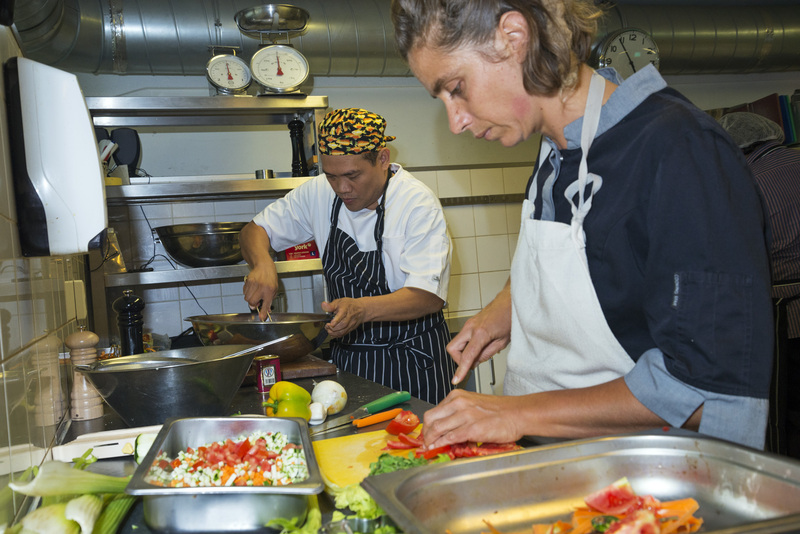 The Forward Food team have been busy and collaborating with Greenpeace International and the Vegan Society to deliver a culinary workshop for 3 of the chefs from their ships. We all came together at their headquarters in Amsterdam for a 2 day workshop to experiment with new ingredients, sharing tips to create really interesting plant based dishes delivering depth of flavour, texture and utilising grains and pulses. It was an opportunity to share ideas, best practice and different culinary styles from India, France and the Philippines and hear about the challenges of catering for a large crew at sea. The chefs were absolutely first class and already serve a huge range of plant based dishes on board and our focus was on expanding this range even further and to learn from each other. There was also a fun and informative overview of vegan nutrition from Heather Russell, Registered Dietician from the Vegan Society. This was a workshop to remember with great company and of course there was some amazing meals to share.